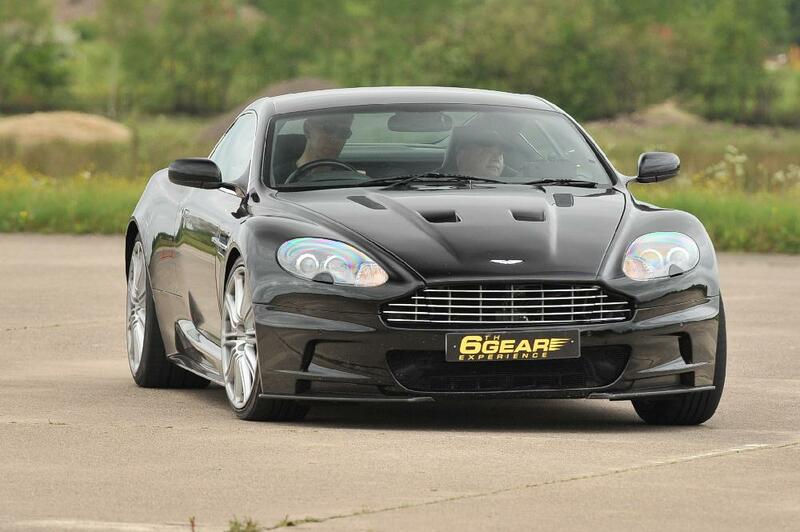 The Aston Martin DBS is the rarest and most exclusive road going Aston built to date. First seen in the James Bond film ‘Casino Royale’ and later in ‘Quantum of Solace’ this £185,000 Supercar is one of only 25 in the UK and exclusively offered to drive by 6th Gear. With it’s 6.0 litre V12 capable of powering this magnificent machine to almost 200mph, it handles superbly – especially for a Supercar tipping the scales at almost two tons. 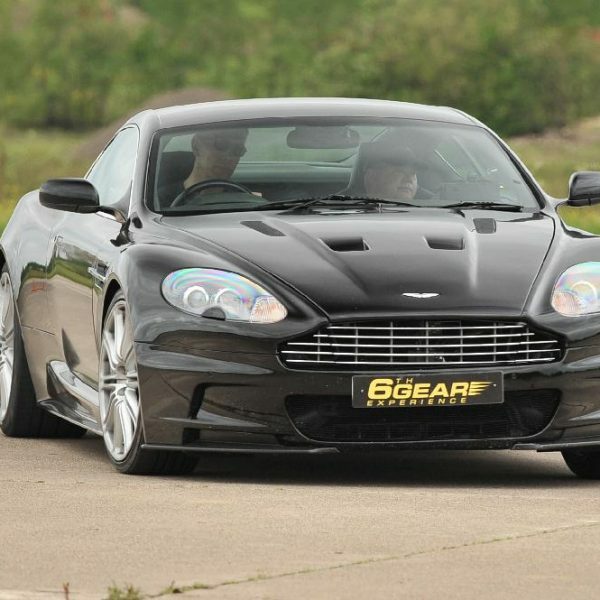 Unfortunately 6th Gear’s gorgeous black DBS doesn’t come equipped with the front mounted machine guns as in the Bond movies, but rest assured driving our DBS is an experience that will never ever be forgotten. The DBS driving experience includes full in-car briefing. This is shortly followed by 6 exhilarating miles* driving the stunning DBS. After that the fun isn’t over as it’s time to jump in our specially prepared performance saloon for a seat of the pants High Speed passenger lap driven by an Instructor. Finally we will present the driver with a Certificate of Supercar Driving Experience as a memento of an unforgettable day! Powerful and exquisitely finished, the DBS entered production in 2007 after a global reveal event at the Pebble Beach Concours d’Elegance. The DBS represented a synthesis of raw power, race-bred technology and design excellence. Before entering production, the world got a mouth-watering preview of the DBS as it appeared as James Bond’s car of choice in ‘Casino Royale’, Daniel Craig’s debut in the role released in 2006. DBS also appeared in the opening sequence of ‘Quantum of Solace’ the follow up film released in 2008. Unfortunately 6th Gear’s gorgeous black DBS doesn’t come equipped with the front mounted machine guns as in the Bond movies, but rest assured driving our DBS is an experience that will never ever be forgotten. With stunning handling of the four wheel drive and an engine capacity of a 5.9ltr V12, this is without a doubt a car to remember. Reaching 0-60 in 4.4 seconds and top speeds of 191mph, this driving experience is a great present for any wannabe James Bond or Aston Martin lover! Upon arrival at the location, the lucky driver will receive their driver registration – to show their driving licence and fill out a few forms. Once this has finished, the driver will be shown to the Aston Martin DBS for their drive. After a quick chat and in-car briefing with the friendly instructor in the passenger seat, the driver will pull out of the pit lane for their 6 miles* driving the DBS around the track.